A petition has been filed against an Israeli mine that poses health dangers to Al-Fura’a residents and will lead to immediate transfer of thousands; the mine is part of an Israeli plan to force 36,000 Bedouins from their homes. Bedouin residents of Al-Fura’a village and human rights organizations will head to the Israeli Supreme Court this week for the latest stage in the battle against a planned phosphate mine in the Naqab (Negev) in southern Israel. Construction of the mine will result in the immediate evacuation thousands of Bedouin residents – citizens of Israel – and the exposure of thousands more to serious health hazards. The Sde Barir phosphate mine plan was approved on the basis of an environmental impact assessment survey that ignored the existence of the area’s 15,000 Bedouin residents, including those who live in Al-Fura’a, the Bedouin village most directly affected by the planned mining project. Adalah – The Legal Center for Arab Minority Rights in Israel, together with 168 Al-Fura’a residents, the Regional Council of Unrecognized Villages of Negev, the Association for Civil Rights in Israel (ACRI), Bimkom – Planners for Planning Rights, and Physicians for Human Rights-Israel (PHR-I), filed a Supreme Court petition on 21 January 2019 against the mine project. A hearing on the petition, which was filed by Adalah Attorney Myssana Morany against the Israeli government, the National Planning and Building Council, and Rotem-Amfert Negev Ltd., which holds exclusive licenses for phosphate mining in the country, will be held at the Supreme Court in Jerusalem on Wednesday, 27 February 2019, at 9 A.M. The Sde Barir phosphate mine project is just one part of a plan Israel announced on 28 January 2019 to forcibly transfer 36,000 Arab Bedouin citizens of Israel living in unrecognized villages in the country’s southern Naqab (Negev) region in order to expand military training areas and implement what it called “economic development” projects. CLICK HERE to read more about Israel’s mass transfer plan. The implementation of the plan is slated to commence in the coming year and will be carried out over the course of several years. The plan provides clear confirmation that Israel’s Authority for the Development and Settlement of the Bedouins in the Negev overtly discriminates against the Bedouin population, and considers them an obstacle that must be removed from the landscape in order to clear a path for Jewish settlement and “development”. The government plans to move these citizens to poverty-stricken, government-planned townships in other areas of the Naqab. 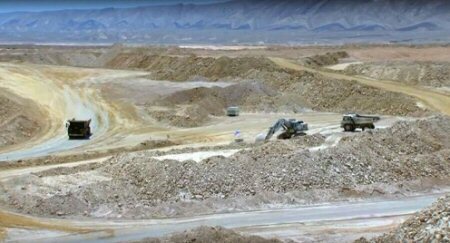 In March 2018, the Israeli government approved National Master Plan 14B which opens up approximately 6,400 acres (26,000 dunams) of the Barir and Zohar South fields to phosphate mining. The Israeli Health Ministry and world-renowned health experts strongly oppose the plan because of the expected increase in mortality rates as a result of mining. Bedouin residents living near the mine would be exposed to the inhalation of dangerous particles likely to cause a rise in fatalities due to heart and lung diseases. The Supreme Court petition stressed that Israeli authorities failed to examine the impact of the mine on Al-Fura’a residents. Partial data collected by the state in its environmental impact assessment survey relates only to the residents of the nearby towns of Arad and Keseife, but ignores the existence of approximately 15,000 Bedouin citizens living in and around the area designated for construction of the mine. In an expert opinion accompanying the petition, Israeli public health experts Prof. Nadav Davidovitch and Dr. Maya Negev highlighted the flaws in the use of an environmental impact assessment survey to examine human health concerns. Prof. (Note: Davidovitch is also a volunteer with at PHR-I). Despite the objections of the district Planning and Building Committee due to these health reasons, the plan was nevertheless approved by Israel’s National Planning and Building Council and the Israeli government.